The diving behaviour of female southern rockhopper penguins (Eudyptes chrysocome) was studied at Noir Island (54°30′S–73°00′W), Chile, in the southeast Pacific Ocean. This isolated island is located at the edge of the continental shelf in an area where the Humboldt Current originates, and holds a population of more than 150,000 breeding pairs. On 13 December 2005, four TDRs were successfully attached to females at the end of the brooding period and recorded diving activity at intervals of 2 s over the next 4 weeks. In total, 40 complete foraging trips were recorded. Trip duration was on average 42.4 ± 40.1 h and the proportion of overnight trips (60%) was the highest value found so far for this species. Mean dive depth and dive duration was 20.6 ± 19.4 m and 63.7 ± 36.4 s, respectively. The diving effort was higher than that of brooding females from the Indian Ocean and comparable with that of conspecifics from colonies in the southwest Atlantic in terms of diving rate (38 ± 14.2 dives h−1), but slightly lower as regards the proportion of time spent underwater (61 ± 10.5%). 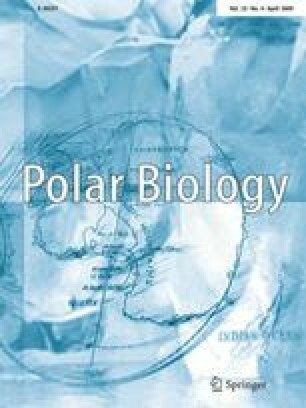 This study confirms that the diving behaviour of rockhopper penguins varies as a function of the physical and biological characteristics of the foraging areas and of the particular stage of the breeding season. This research was made possible through the support of Consejo Nacional de Investigaciones Científicas y Técnicas (CONICET) though projects PIP N° 02820 and PEI N° 6045, from the, Wildlife Conservation Society, National Geographic Society and the financial support to the Antarctic Research Trust by the Vontobel-Stiftung, Switzerland. Special thanks are due to Lesley Baxter for language editing.